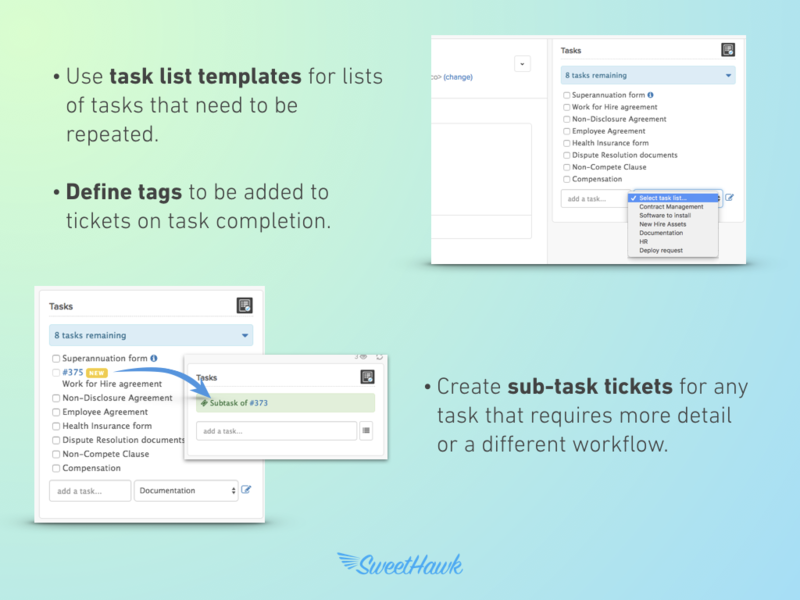 Create tasks on a ticket with a clean and simple ticket sidebar interface. 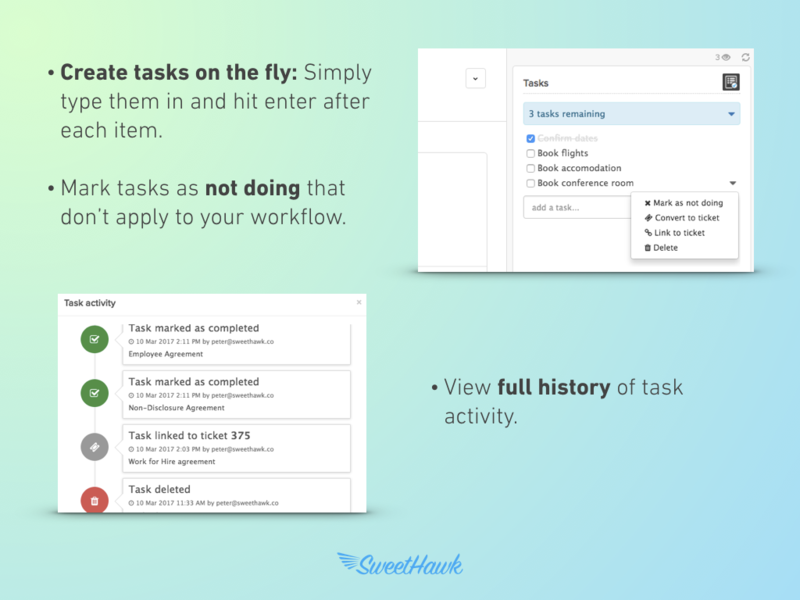 Create task list templates for when there’s lots of tasks that need to be performed over and over again. 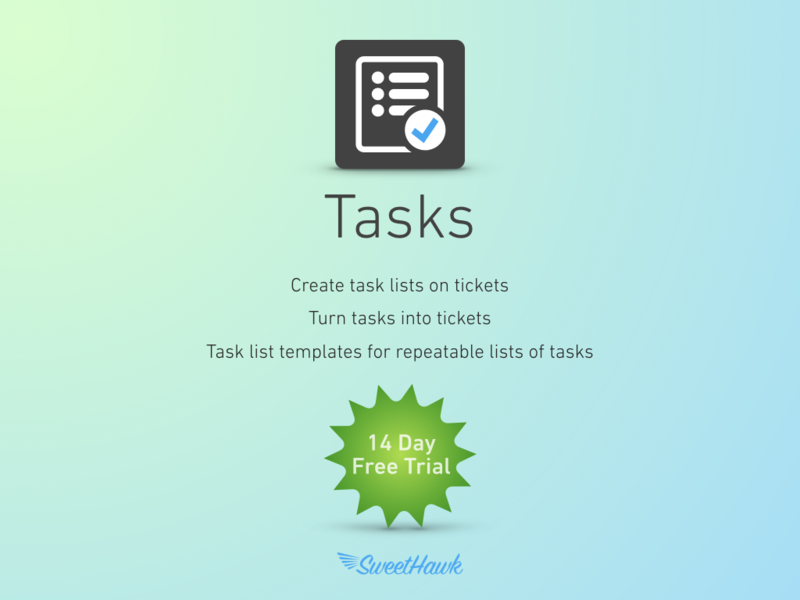 Create sub-task tickets for more complicated tasks that require separate conversations with people or companies other than the original requester. 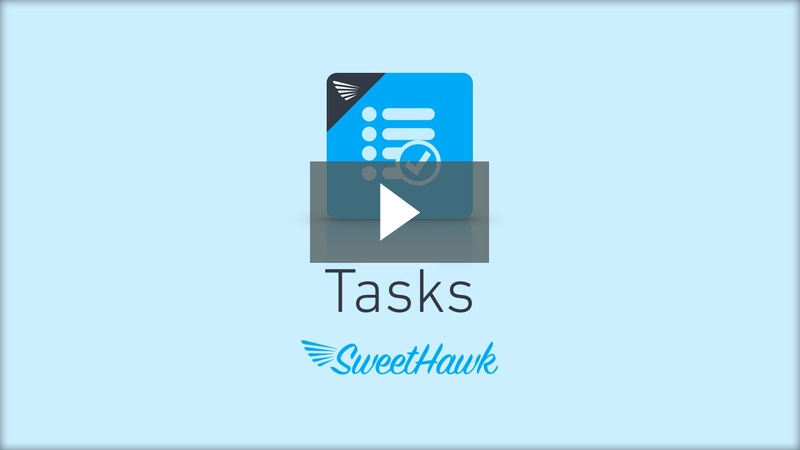 Automatically add task lists based on ticket conditions specified in a trigger to ensure certain tasks are always completed as part of your process. It's a New Hire ticket? The Employee Onboarding task list will already be present and nobody will ever wonder again where the coffee machine is.